Not all of my projects are apps for Android; I also dabble in website design as you may have noticed. Furthermore not all my hobbies are computer related. I’m also involved in scouting both in Manchester and Dover. These two interests come together at 15th Dover Scouts. 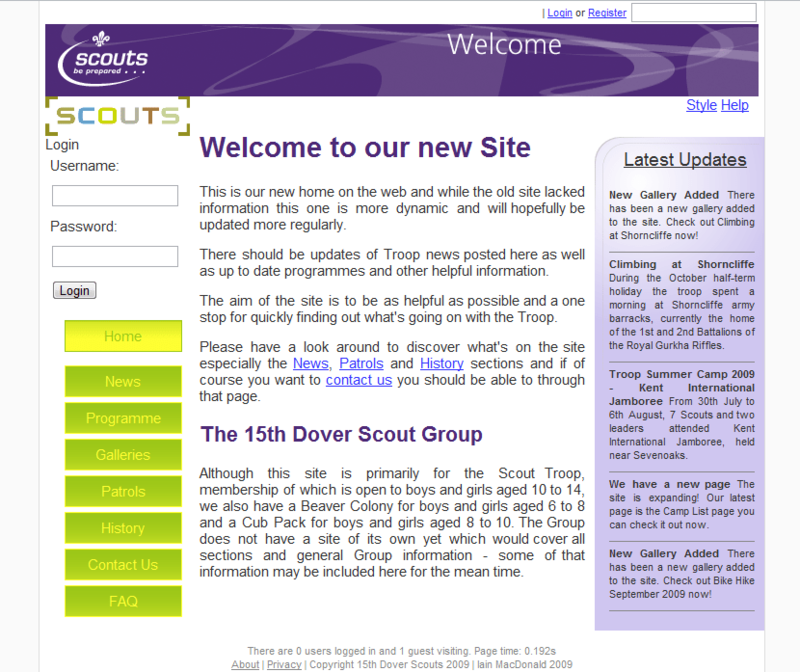 I designed and now maintain the website for the 15th Dover Scouts. The main intention of the website is to get information about the troop to a wider audience. The perfect example of this was when a troop of Brussels Sea Scouts searched Google for “Scouts in Dover” they found our site. Between us we organised an over night stay for them in the town on their return journey from a sailing trip around Wales. One of the main goals of the site was to meet modern design guidelines to make the site as accessible and user friendly as possible. With this in mind the site aims to be as cutting edge as possible which is why of course the site is laid out with no tables and the news and galleries all have feeds for aggregation. I do appreciate there is still a long way to go, a lot of improvements to be made. That however, is the nature of the web, constantly changing, evolving and improving to be come richer and more featureful.